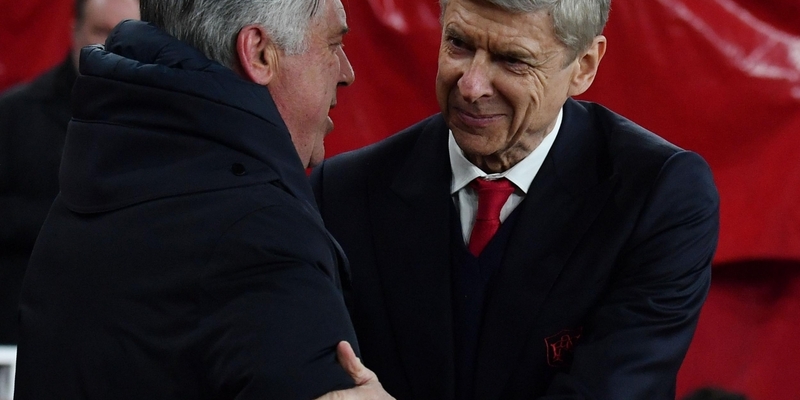 Carlo Ancelotti has admitted meeting with Arsene Wenger but insists that it was strictly wining and dining – and never about his Arsenal replacement. Napoli head coach Ancelotti was heavily linked with replacing Wenger when he left Arsenal at the end of last season. According to SkySports, The Italian gaffer said: “I spoke with Arsene, he is a good friend of mine, when we had a meeting in Geneva in September, but not before. Ancelotti who is a former Chelsea coach returns to London this evening to face an Unai Emery-led Arsenal in the Europa League quarter-final first leg at the Emirates. Wenger: No late Arsenal signings – unless Messi turns up!